This project includes a 20 classroom addition to Antioch High School. This project will allow the classes currently in portable buildings on the campus to be moved inside the building. The addition at Antioch High School is complete. Building A: Complete except for cleaning and correcting punch list Items. Building B: Complete except for cleaning and correcting punch list items. Area A: Complete all masonry; complete painting; complete VCT installation. Area B: Completion of VCT and final paint. Area A: Completion of brick; installation of windows; placement of drywall. Area B: Completion of window installation; completion of paint; start of VCT installation. Area A: Completion of the roof; application of spray foam insulation; start of face brick installation. Light gauge metal framing; blocking for windows. Area B: Block fill; hang and finish drywall; roofing trim-out. Area B: Installation of windows; place and start up HVAC equipment; hang and finish drywall; blockfill masonry walls. Area A: Continuation of placement of masonry walls; continuation of MPE rough-in. Wall construction at existing building. Area B: Continuation of placement of brick and interior soffits. 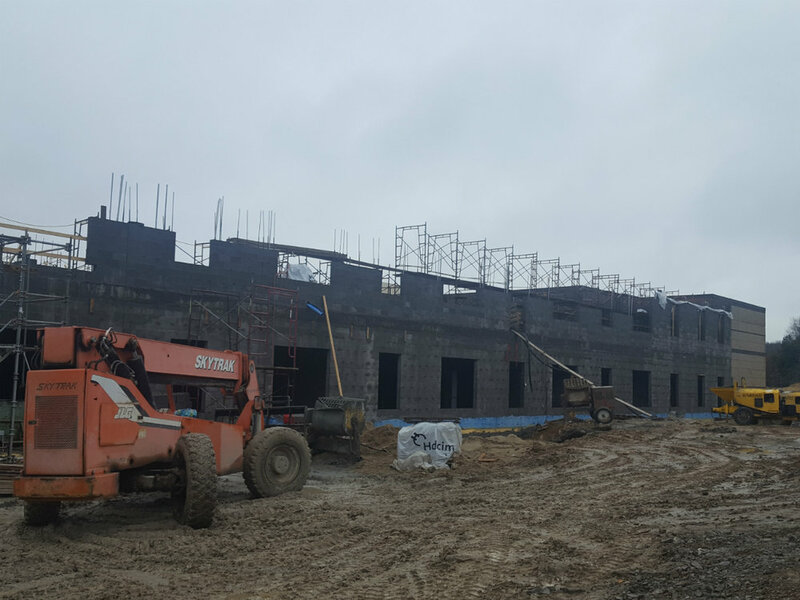 Area A: Concrete planks will be set; load bearing walls for the second floor will be placed; Plumbing and electrical rough-in will continue; waterproofing at exterior walls will be applied. 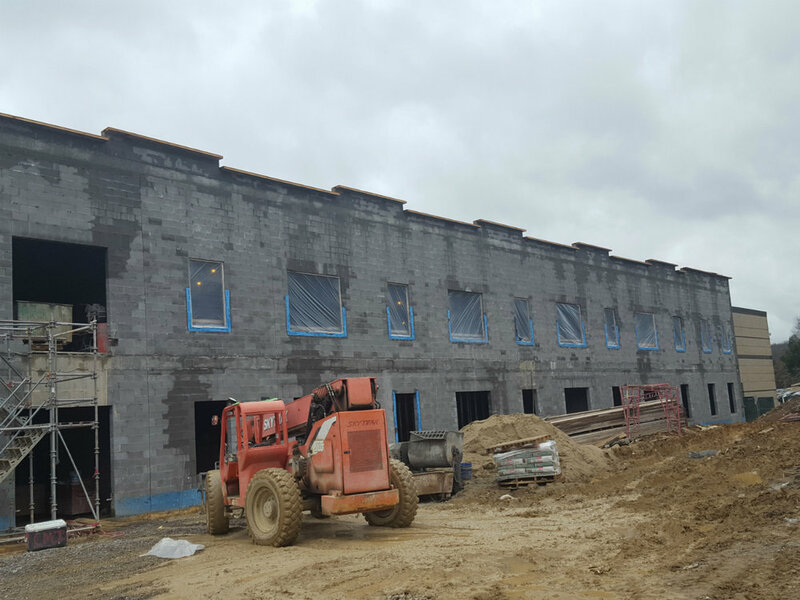 Area B: Roof will be applied; spray foam insulation at exterior walls will be applied; Brick installation will begin; MPE rough-in will continue. Area A: Completion of Radon containment measures; placement of floor slab; erection of bearing walls at least to second floor bearing height. Area B: Erection of partition walls; erection of structural planks; placement of spray foam insulation. Area A: Pour footings and install underslab plumbing and electrical. Area B: Complete footings and underslab rough-in.